October 12 is only a potential date for a sovereign credit decision, says Moody’s Lucie Villa, the investors service lead analyst for sub-Saharan Africa. “If we do take a rating action, it can be October or March,” says Marie Diron, the Moody’s Investors Service MD for emerging markets. “In some cases, events turn and we want to inform markets as soon as possible. We can take ratings action outside calendar dates,” says Diron. South Africa is on tenterhooks expecting a rating decision which can lob the country into junk investment grade status. Asked about the impact of forthcoming land expropriation without compensation on a rating decision, Villa says there is a clear objective stated by the government on what it wants to achieve: land redistribution without hurting the economy. Thus, the developments on land can be regarded as positive with regard to long-term growth ambitions of South Africa, she says. “Until we get the details, there is some policy uncertainty (about land),” says Villa. Foreign investors ask: “Will they stick to their word?” she says. Fin24 understands that a new draft expropriation law is likely to be tabled in a month or two and this will set out the terms of limited land expropriation without compensation within a specific and predictable procedure. Moody’s does not believe there will be a resolution to the land policy before the next election which is slated for between May and August next year. Outlook is still stable but raters are looking for key reforms. Villa says Moody’s outlook for South Africa’s credit rating is still stable but structural reforms are essential. The Medium Term Budget Policy Statement (MTBPS or mini-budget) on October 24 is a very important moment and Moody’s has factored in a fiscal adjustment by Finance minister Nhlanhla Nene. Wage bill, tax revenues and interest bill are three vital areas to watch. Villa says a key uncertainty is the government wage bill which is ballooning. The government can adjust the non-salary bill by making headcount cuts and through early retirement, believes Villa. The Mail & Guardian has reported the state is planning a slim down of 30 000 civil servants at a cost of a mooted R4 billion. South Africa employs 1.2 million civil servants who bargained for and received a settlement that is likely to require a fiscal adjustment upwards from budget predictions in February this year. Bloomberg has reported that the state wage bill is projected to rise 7.3% to R587.1bn ($44.9bn) in the current fiscal year, and by a similar increase over each of the next two years, the budget shows. Personnel costs account for about 35.2% of total government expenditure. “This (tempering of the government wage bill) would be very important to see,” says Villa. She says another uncertainty is interest rate direction. "We have not forecast massively different interest rates," says Villa and says government’s debt burden, although high, is broadly stable. Villa says her outlook on South Africa has not changed drastically and she is still factoring in slow growth recovery. 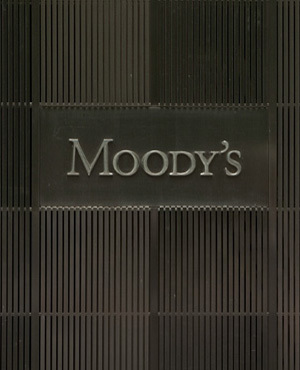 Moody’s has revised down its growth predictions for South Africa this year. “There are still difficult policy trade-offs to make,” she says referring to economic and social imperatives. She gave the thumbs-up to the government’s level of political commitment to macroeconomic policy certainty and praised South Africa’s macroeconomic political framework. Moody’s sees government debt rising substantially to stabilise at 56% to 57% of GDP. If it goes to 60% or over, that will be a trigger for a negative rating action, says Villa. Diron says the trend of the debt-line is very important as well as how likely tax revenue collections are to be achieved over the medium term. The Treasury and the South African Revenue Service this week doused hopes of collecting outstanding tax debts (40% of its R140bn debt-book, according to reports) efficiently while the SA Revenue Service (SARS) has signalled that it may not make tax collections for the third year running. Villa says the structure of SA’s debt is important. The maturity levels of South Africa’s sovereign debt are very long-term and this lowers foreign debt risk in SA to almost nil. Debt rollovers pose some risk, but not a high risk, says Diron. Villa says the credibility of the SARB is very important in relation to the ANC resolution about nationalisation of the central bank, which the party is still sitting on after passing it in December last year. The EFF has tabled a private member’s bill to push the nationalisation of the Reserve Bank debate at parliament as it successfully campaigned for land expropriation without compensation in February. She says the last quarter has seen a positive rebalancing of the policy environment between weighing economic and social imperatives. Will South Africa need an IMF bailout? The likelihood is extremely low, says Diron.